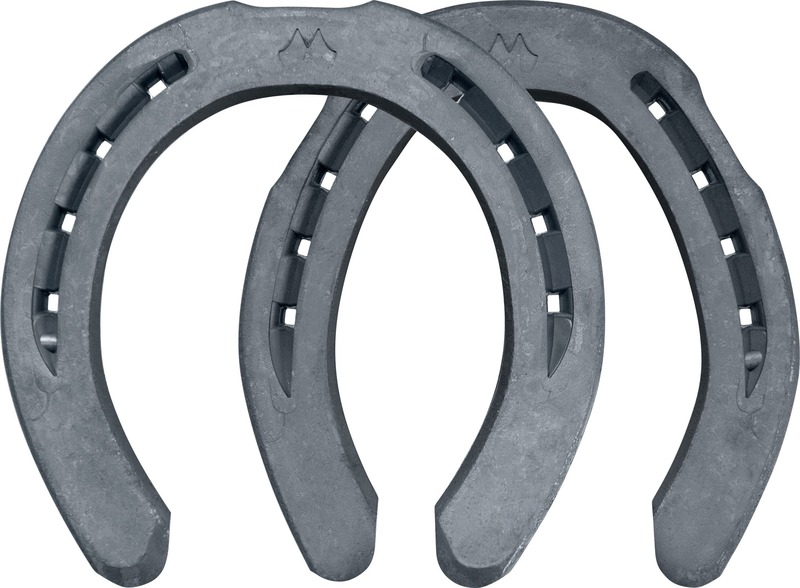 The Mustad BaseMax is a traditionally ¾-fullered European riding horseshoe. 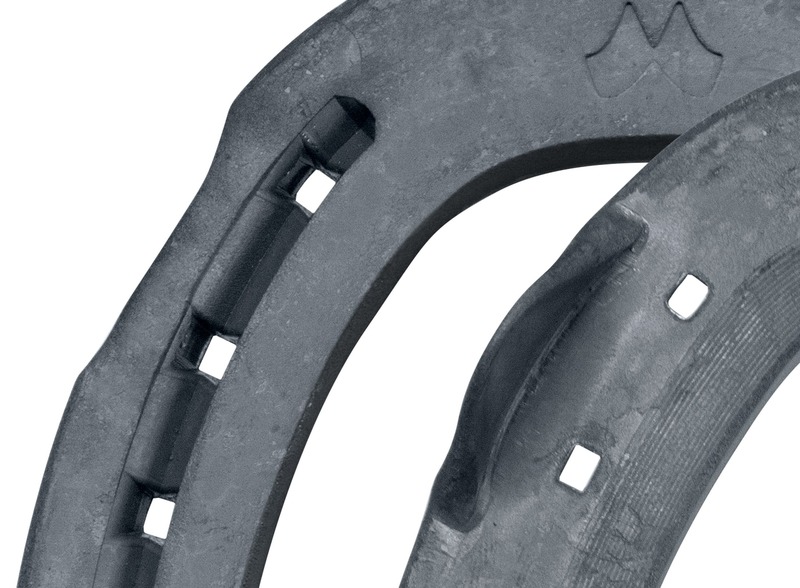 It is the successor to the popular BM shoe. 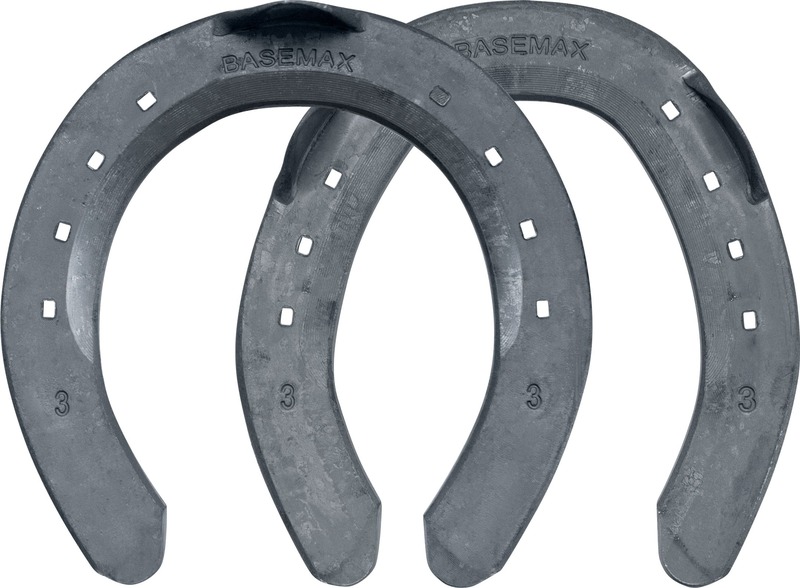 BaseMax horseshoes have their clips drawn out of the metal from the web of the shoe in traditional style. 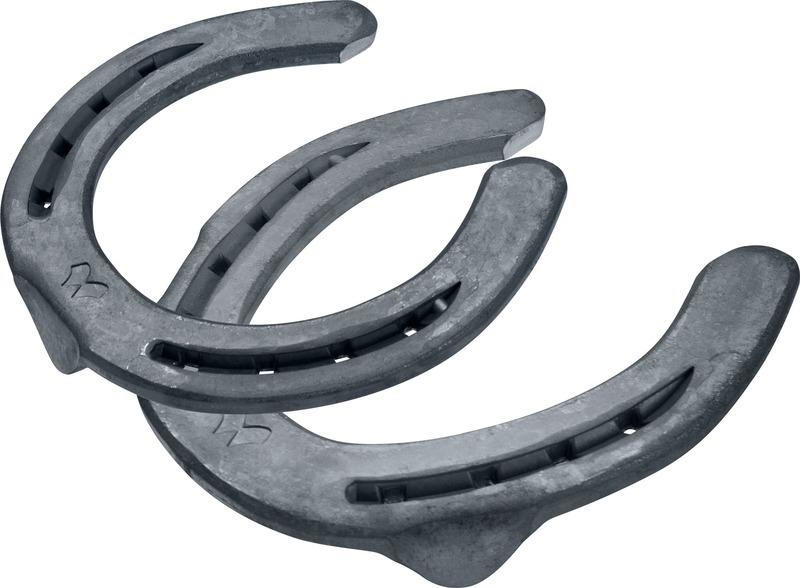 Its inside clip has an optimal position to offer maximum support. 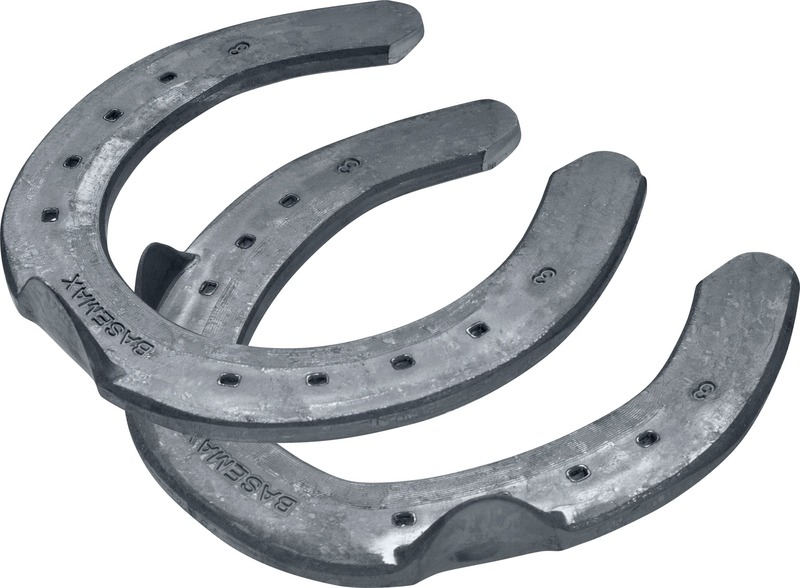 The nail holes of this range are also punched slightly coarser making it possible to fit the shoe slightly wider to the hoof or to accommodate thicker-walled hooves.